Atelier Escha & Logy Plus: Alchemists of the Dusk Sky is the enhanced port of the PS3 version. 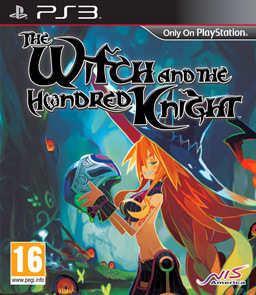 It is the 15th game overall in the Atelier series, and the 2nd in the “Dusk trilogy” following Atelier Ayesha. 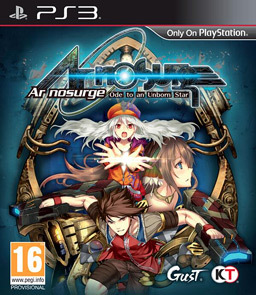 The game is developed by Gust, and localized by Koei Tecmo. The game follows Escha Malier and Logix “Logy” Fiscario, 2 alchemists who work as government officials in the R&D division in a small town called Colset. Escha is a traditional alchemist, focusing on alchemy while Logy specializes more on assembling weaponry and armour, similar to a blacksmith. Their main form of work involves completing tasks that helps the government and the town in some way such as repairing a windmill or exploring unknown places. Along the way they will meet both new and recurring characters from the previous game, and discuss about the nearby floating ruins dubbed the “Unexplored Ruins”. No one knows what these ruins contain but it is a goal that Escha and her friends believe it will be worth doing. Because the game features 2 protagonists, you can choose to play the story from either Escha’s point of view or Logy’s point of view. The core storyline remains the same but certain events and dialogue are unique from one another. It also determines who you control when exploring, and that they must always be used in battle as well. To be frank, I’ve never played any games of the Ar series except for one… Ar Tonelico Qoga. I did enjoy it as a standalone JRPG but I also heard how bad it is compared to the previous games in the series. A bit late to the party, but better late than never. 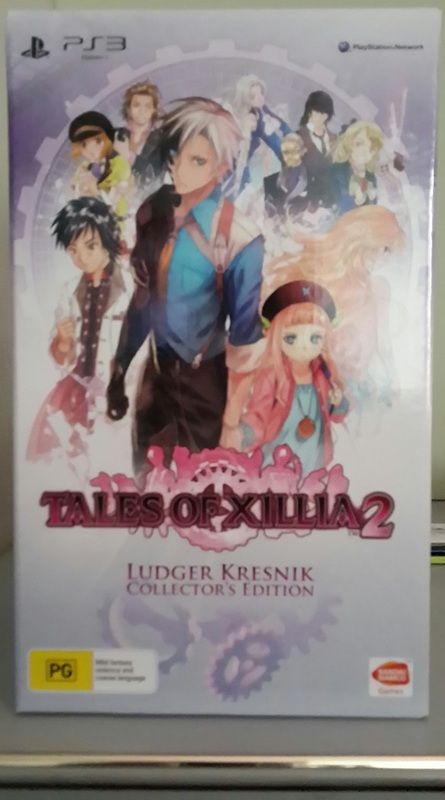 Tales of Xillia 2 was recently released, IN ENGLISH, which I am very excited for. A shame the so-called “Pocket Watch” is actually just a compact mirror. I don’t think I’ll have any use for it but oh well. The Ludger figure is pretty cool though. I was skeptical about this game, which is the main reason for this very delayed review of this game. The majority of the reviews from both sources (gaming websites / magazines, and the gamers themselves) have been giving it some criticism… fair to say, I can see where they are coming from. From the general point of view it seems to be an Action JRPG where you control a little minion named The Hundred Knight and tackle on stages, usually fighting some sort of boss at the end of each, to advance through the storyline. Sounds simple enough right? Read on. Ahh Final Fantasy. It’s a love-hate it series. A lot of people still enjoy the games coz of the awesome graphics, gameplay and storylines… others may hate it because of those exact reasons. While I don’t call myself a fan, I do like playing some of the games, such as this one. This is pretty much a short review / first impression.